Make your own chocolate covered Oreos® with the 4 Cavity mould. The mould features an easter bunny design. Detail the mould with white and dark chocolate. Simply fill the mold cavities 1/3 full with melted chocolate, embed your sandwich cookies, then top off each cavity with chocolate. After chilling the moulds in the fridge or freezer for a few minutes, your professional quality chocolate covered Oreos are ready to unmold and enjoy. Chocolate covered Oreos are easy and fun to make, and with the diverse selection of Oreo moulds at Cakes Around Town, you can easily make everyone's favorite party favor for any occasion! 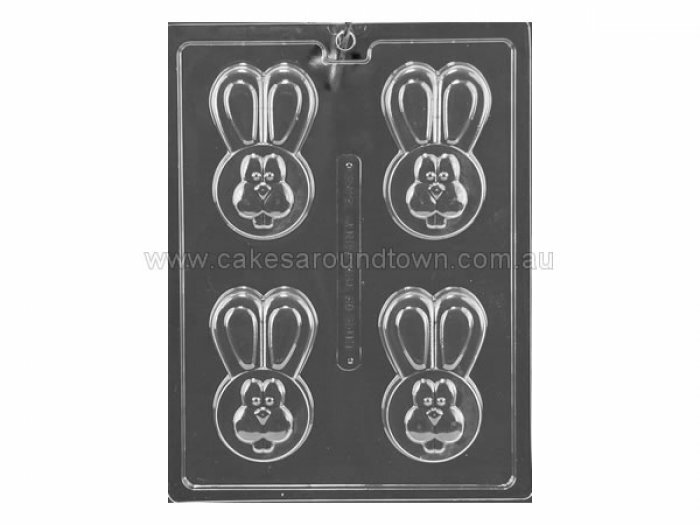 Cavity Size: 2 1/4" x 3 3/4" x 3/4"
Cookie Moulds are made specifically for making chocolate covered Oreo® cookies, and handmade soaps.